Born, raised, and educated in New York City until she moved to Massachusetts 32 years ago. During her time in Massachusetts she has worked both in the medical and legal fields. In 1985 Betty successfully ran for a seat on Holyoke’s school committee representing Ward 2 making her the first Puerto Rican woman elected to public office in the state of Massachusetts. She continued to realize her passion and commitment to public education when she became a founding member of the Holyoke Community Charter School opened in September 2005 with grades kindergarten through 8th grade for 702 students. She was a member of the schools Board of Trustees 2010. 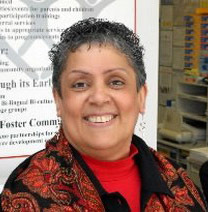 She has been the Executive Director of Enlace de Familias de Holyoke for the past 22 years. Enlace is community based non-profit organization with its offices on Main St. The mission of Enlace de Familias is to promote a community where all families are given the opportunity to improve their quality of life. The city that Enlace serves – Holyoke, Massachusetts – has a population of 40,249, of which 48.4% are Hispanic, majority Puerto Rican. Compared to other cities in Massachusetts, Holyoke has the highest percentage of children living in poverty, the highest teen birth rate, and the second highest percentage of children living in single-parent families. Additionally, 31.5% of the population is below the poverty rate. 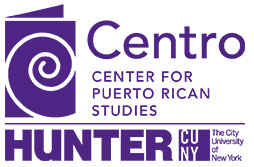 Poverty is especially prevalent among its growing population of young Latina mothers and their young children; 62% of Holyoke’s impoverished children are Puerto Rican.